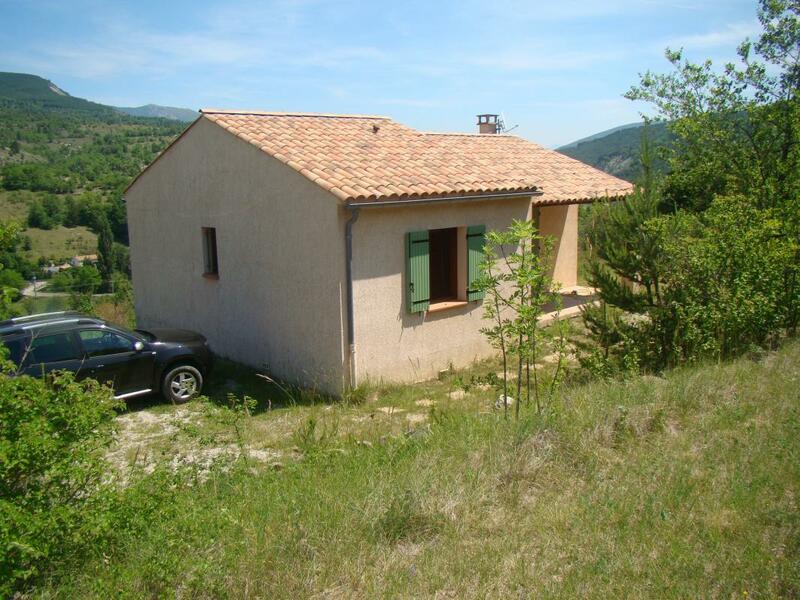 Detached house between Sisteron and Drôme Provencale. The small river of the Meouge has traced over the millennia a charming valley and picturesque gorges. It is in this valley that settled the small village of Salérans in a landscape typical of Baronnies Provençales. 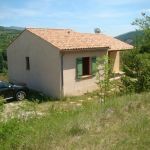 The cottage has been converted into a completely independent contemporary house with private grounds, away from the village, about fifty meters from the owner's home. The south facing covered terrace gives access to the large day room with open kitchen, sitting area and dining area. The kitchen has a complete equipment including: dishwasher, freezer, microwave oven ...). Television receives satellite channels. On the same level one accesses the two rooms equipped with a bed two people and of two beds one person, with the bathroom and the WC. The cottage has a heating and electric system. Washing machine. The outdoor area is equipped with a garden furniture and a barbecue. Access to the cottage is via a private road. The owner proposes the rental of sheets. Animals are accepted for an additional financial contribution. 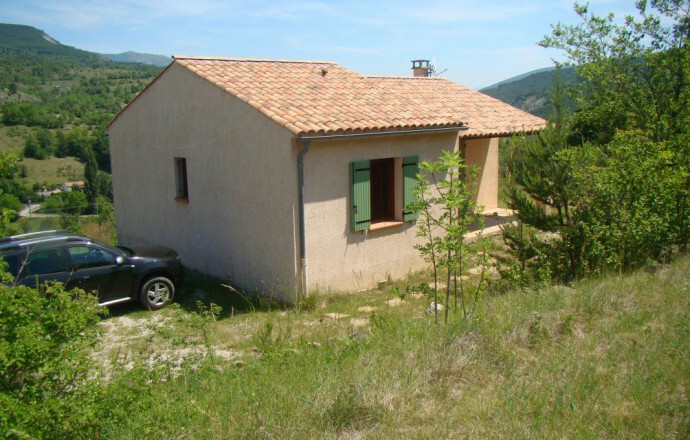 From the gîte or in the vicinity you can practice many activities of nature or discovery: hiking or mountain biking, climbing, swimming in the Meouge, climbing, horseback riding and discovered a natural environment preserved in this region of the Park Natural Regional Baronnies Provençales. Le calme absolu sous le soleil ! 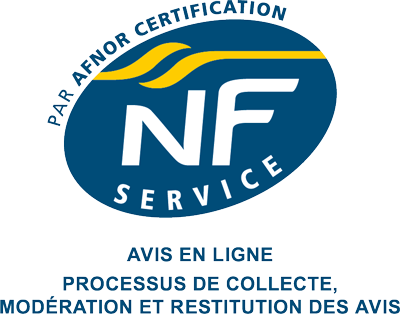 nous avons passé un excellent séjour. Propriétaire très sympa et de bon conseil pour visiter la région.